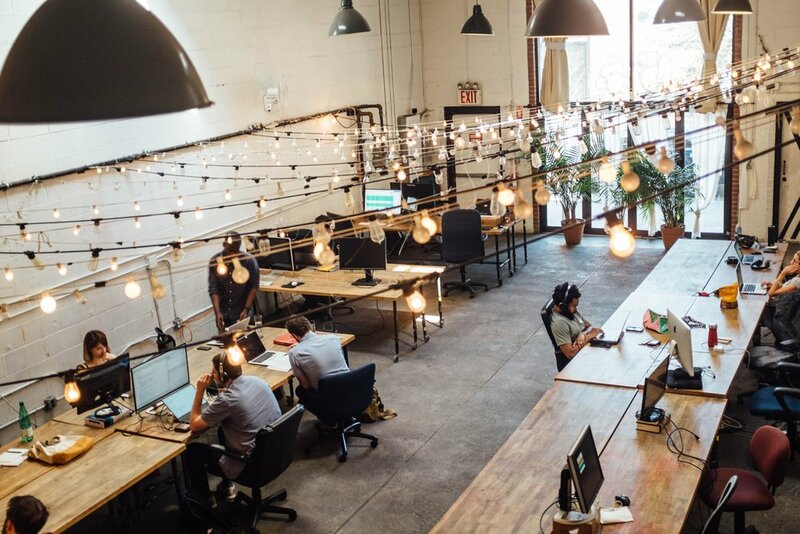 One of the most important aspects of the future of work megatrend concerns remote work - the idea that technology and flexible workspaces like coworking spaces enable us to work together without physically being together. While remote work allows for great flexibility, scaling startups with a fully remote team can also be challenging. In this guest blog post, HanaHaus regular Ryan Robinson shares some of his learnings and experiences about working on remote teams and scaling remote startups. While the thought of a fully remote company (that actually gets work done) is beyond foreign to many who’ve already been in the workforce for decades—or those that believe you can only scale a tech company with an office in the heart of Silicon Valley—there are thousands of remote startups out there proving that it can be done today. In fact, according to studies conducted by Gallup and Global Workplace Analytics, a whopping 43% of Americans report that they now work remotely at least occasionally—with more than 3% (that’s 3.9 Million Americans) saying they work remotely at least half of the week. These trends are only picking up pace. Throughout my career, I’ve been fortunate enough to work for and collaborate with several incredible remote startups that’ve scaled their businesses with a fully distributed team. Not only am I a remote employee for the fully remote startup, Close.io, but I also personally employ several remote contractors to help with growing my own blog and keeping my various side businesses running. There are plenty of unique challenges with scaling a remote tech startup without a base of operations in Silicon Valley, but there are also many surprising benefits to be had. From companies that were born as fully remote organizations, to the teams powering distributed startups that successfully navigated the challenge of transitioning from on-site to remote—here are five key lessons to take into account if you’re looking to build a remote startup from the ground up. Choosing to grow remotely opens up a worldwide talent pool, rather than confining your search to just the local talent here in the Bay Area. However, communication across a globally distributed team presents a unique challenge. Thankfully, the widespread proliferation of team collaboration and chat tools like Slack enable people at remote companies to stay in close touch better than ever before, and without clogging email inboxes. The fact still remains that within a remote company, you can’t simply walk over to your co-worker and give them some quick feedback on a project, ask a critical question, discuss an idea, or talk through a challenge. Schedule weekly virtual team meetings using a video conferencing tool. Make time for team members to have regular unstructured 1-on-1 or small group conversations with one another to talk about non-work subjects. Create a culture where it’s expected for team members to hop on a quick video call to give each other feedback and run through questions that require more depth than just Slack or email can handle. Because you’re growing your company remotely, it takes more effort in order to ensure ideas, tasks and deliverables are communicated clearly. 2. It takes (more) work to create a strong company culture. An amazing company culture doesn’t just manifest out of nowhere—especially when you go remote—and if you take little action to shape your culture, you’re going to have a very difficult time attracting top talent to join your team. All strong company cultures are built around foundational values that founders and team members (should) share in common with each other. So, what do you stand for? What problem do you seek to solve in the world? What motivated you to launch your business in the first place? How you answer these core questions will determine the kinds of potential employees your brand attracts. It’s important that you create a virtual space where team members feel comfortable and empowered to live their values, engage in meaningful conversation with each other, and shape your company for the better. This can be done through public or semi-private clubs and interest groups that regularly meet with each other over video conferences or share in discussions on Slack. At Close.io, one of the ways we regularly express a core value and strive to shape our company culture is through a monthly initiative called Sharing is Caring. Everyone is invited to come watch a 30 minute video presentation and Q&A session from a member of the team as they teach a fun skill, share from an exciting (non-work) experience, or deliver a talk about something they’re passionate about. So far, we’ve had presentations on everything from travel hacking, to creating a workout regimen, structuring a healthy diet, and how to start blogging. What’s best about this series, is that it highlights both the diversity and incredible skill set of the team—making employees that much more excited and proud to wake up and start working the next day. 3. Hire the right people, not just the “best” people. Working remotely isn’t guaranteed to be great for everyone. While the flexibility and perks can sound nice on the surface, some people thrive within an environment where they’re regularly walking, talking and interacting with co-workers at the office. If you’re going through the hiring process with a candidate that’s never worked remotely before, be sure to probe them for signs of how they’ll fare in a role without regular face-to-face contact in an office full of co-workers. How do you schedule your day? Which tools or processes do you use for scheduling? What do you need in your physical space in order to be successful working? How do you use different communication tools in different situations? How do you organize files, tabs, links and tools on your computer/browser? How do you prioritize your tasks and manage projects with multiple stakeholders? When the hire clearly isn’t going to work out for cultural or other reasons aside from skill set, don’t try to make it a fit simply because they have a special talent or skill—that can end up costing you even more when they inevitably don’t feel at home and leave six months down the line. 4. Focus on clear deliverables, not the number of hours your employees work. To the best of your ability, it’s crucial to focus your team members on very clear weekly, monthly, quarterly goals and deliverables—versus setting the expectation that they’ll simply need to put in a set number of hours working each week. One of the most attractive aspects of working in a remote company, is the amount of lifestyle flexibility you’re afforded. Within reason and for most types of job functions like with engineering team hires or for content creators, you can work when you want from wherever you want, as long as you’re productive and not slipping behind on the expectations of your role. This focus on deliverables rather than time spent working, is what ultimately convinced me to join the Close.io team where I work on executing our various lead generation ideas through strategies like content marketing, podcasting, and hosting virtual events. Do I pretty much always work 40+ hours each week? Of course. But because the vast majority of my work with writing and organizing events can be done at virtually any time of day, my manager and I agreed to focus solely on delivering a certain number of articles, and webinars each month. This freedom empowers (and incentivizes) me to be more productive with my time, delivering more work in less time, and it doesn’t leave me feeling guilty if I break my work day down into chunks with an afternoon run or trip to the grocery store somewhere in-between. 5. Always make time to creatively have fun together. Another major challenge with choosing to grow a remote company, is that your organizational attitude can easily turn to all work, and no play (without even realizing it). For some employees, the stark contrast between “work time” and “personal time” will be fine—particularly those that have experience being a freelancer at some point in their careers—yet for other members of your team that may be seeking community from their work environment, they’ll be left yearning for more than just the paycheck and flexibility. Go out of your way to host activities like remote team retreats at least once per year, encourage team members to meet up for smaller regional or city hangouts when they’re passing through a location where others live, proactively treat team members to thoughtful gifts like the occasional meal or afternoon off to work on a service passion project of theirs. All in all, there are a lot of benefits to be had when choosing to scale your startup with a fully remote team, but it’s not without its own unique set of risks and challenges. As long as you make a commitment to never losing sight of your company’s mission, and proactively go out of your way to delight your employees and foster community as you grow, you’ll remain safely on the right path. Ryan Robinson is a content marketing consultant to the world’s top experts and growing startups. He teaches more than 250,000 monthly readers how to start a blog and grow a profitable side business on his blog, ryrob.com. Ryan is a regular guest at HanaHaus - he was the person most happy when we adjusted our hours to opening at 6am on weekdays. Most often, you can find Ryan sitting at the high tables in front of our Capetown Lounges.